Pair of large wing chairs with wrap-around backrest, molded beech wood and cream lacquered. 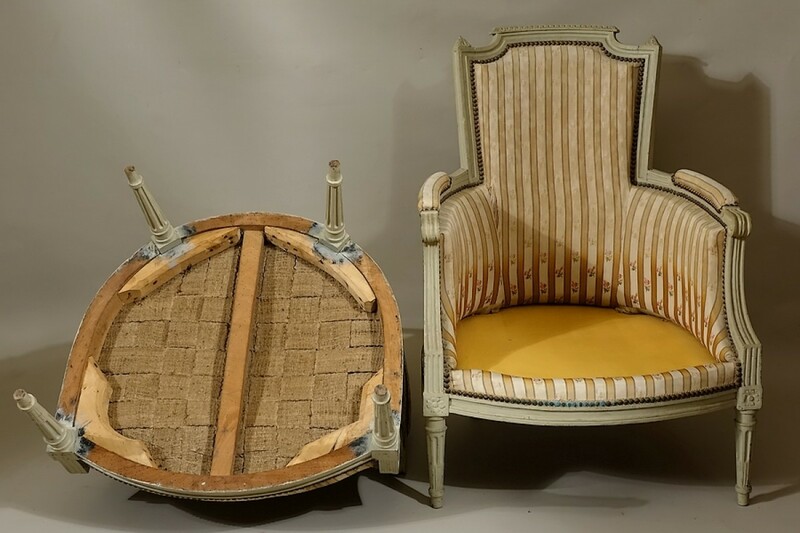 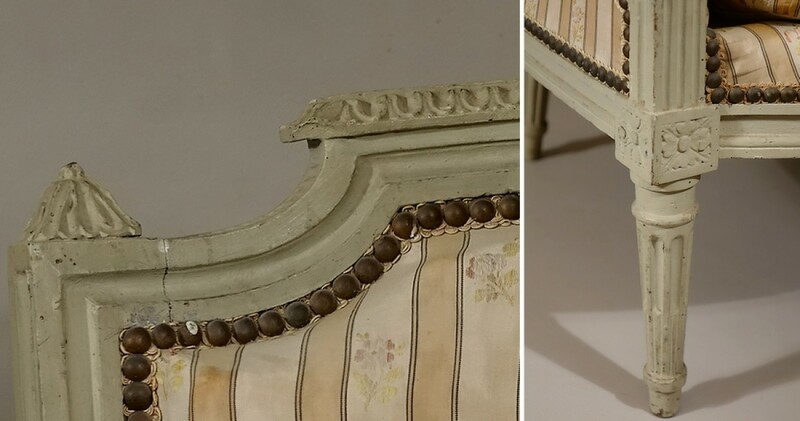 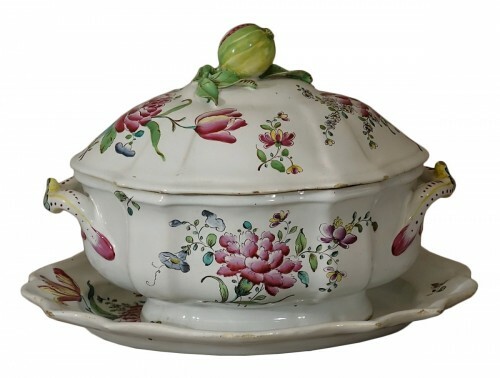 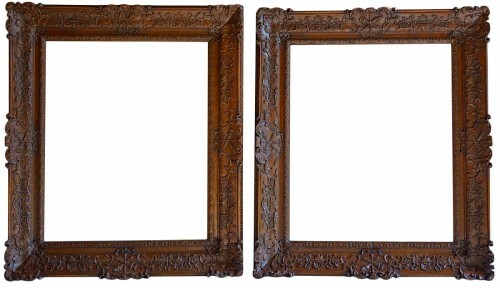 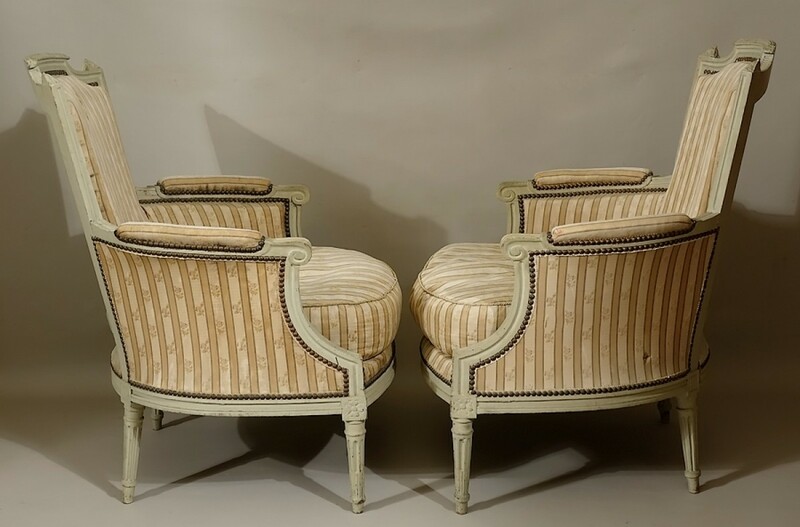 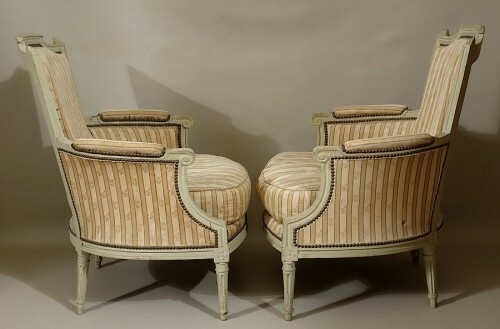 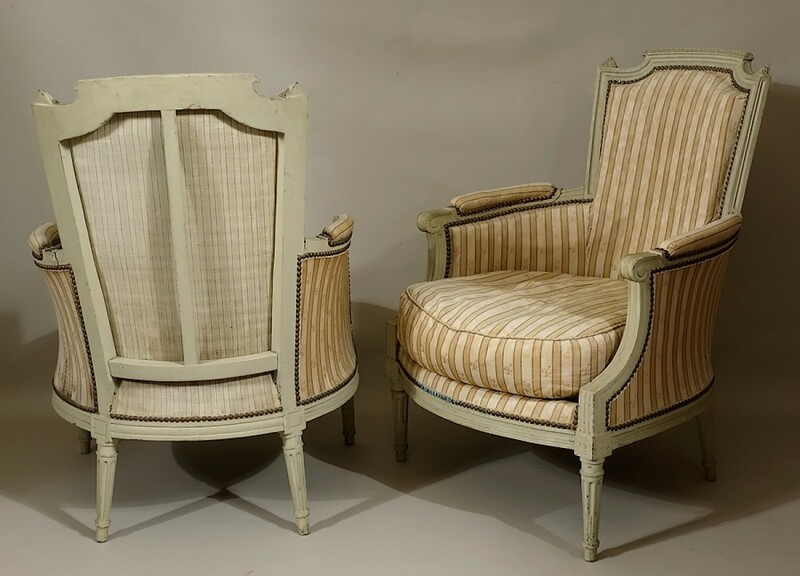 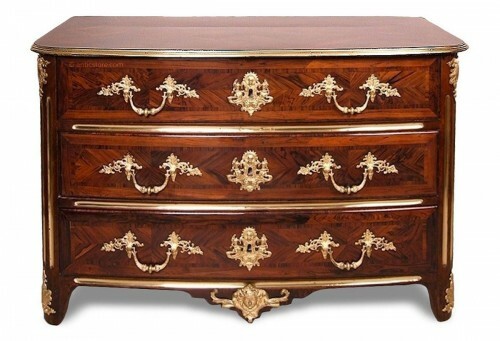 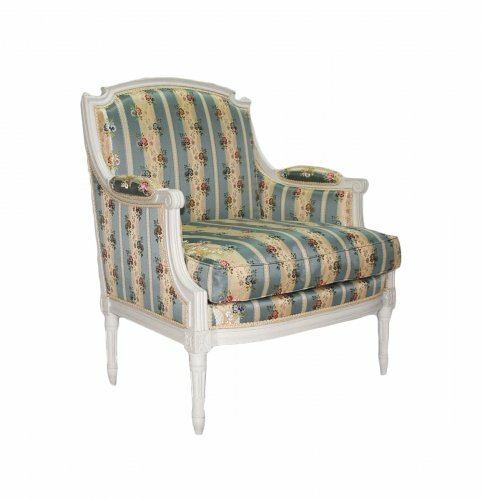 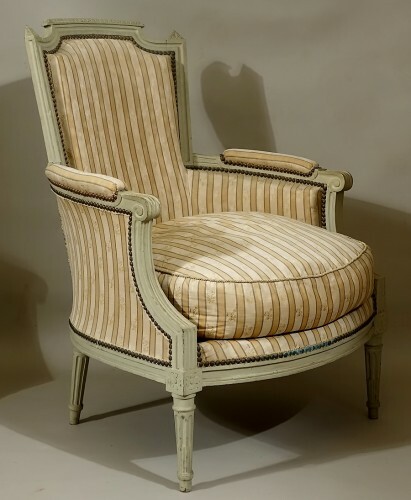 They are based on four fluted tapered legs, rudent at the front, joined by connecting dice adorned with florets, the large backs highlighted with heart stripes and flanked by foliated caps, curved armrests and their supports riffed flutes, the bent belts. Reinforcement squares in belts to report. 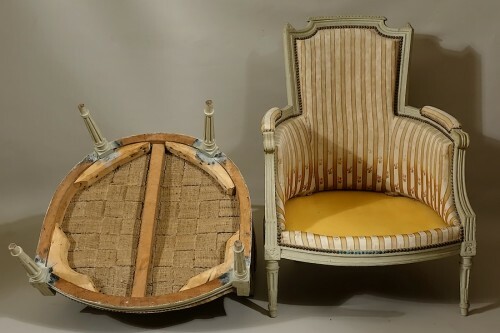 Old upholstery in good used condition (fabric to change of course). 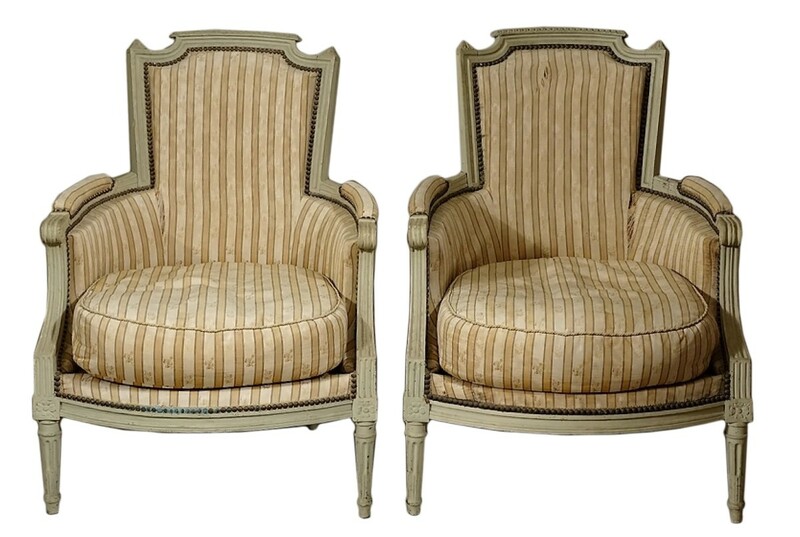 These excellent seats and from a castle (as their size allows it to imagine) are the work of a good Parisian master. Welcoming by their dimensions (three are to be taken into account: backrest height - armrest width of 60 cm - seat depth of nearly 58 cm, as well as the good backs of the records) they provide comfort amazing. 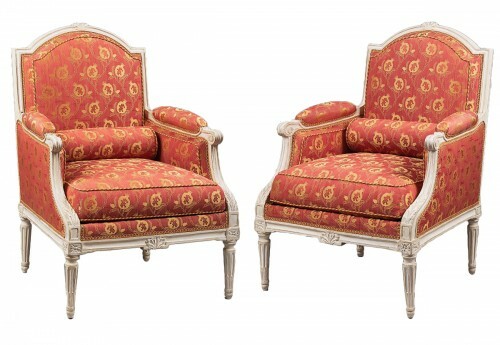 Louis XVI period - 18th century.